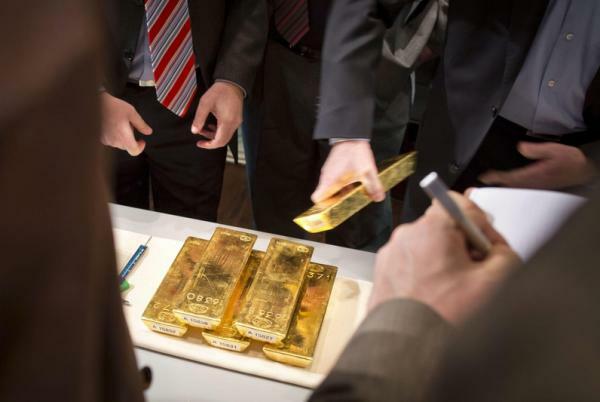 Investing.com – This week precious metals traders will be monitoring safe haven inflows into gold amid fresh fears over the outlook for the global economy and after the bond market flashed a recessionary warning. On Friday the spread between 3-month Treasury bills and 10-year note yields inverted for the first time since 2007 after U.S. manufacturing data missed estimates. This inversion of the yield curve is widely seen as a leading indicator of recession. for April delivery settled up 0.47% at $1,313.40 on the Comex division of the New York Mercantile Exchange, for a third straight weekly gain. Elsewhere in metals trading, settled at $15.438 a troy ounce late Friday but still ended the week with gains of around 0.8%, while ended at $2.848, off 2% for the day, for a weekly loss of 2.21%. Chicago Fed head Charles Evans, Boston Fed President Eric Rosengren and Kansas City Fed President Esther George are among some of the Fed officials scheduled to speak this week.